The Longest Day is an event created by the Alzheimer's Association to raise funds and awareness about the disease. Every summer solstice, teams from across the country get together to celebrate. Edgewood Management Group and many of their communities participate annually and came in fifth in the nation for funds raised on the day of the event in 2015. Read on to learn more about this fun and important event. Unlike your typical 5k or other fundraising race, The Longest Day happens all around the world. You don't have to be a runner to get involved – you can host an entirely different event. Past participants have held dance workout classes, gone on hikes, organized a bowl-a-thon or even arranged a cabaret and art gallery. If you want to help the Alzheimer's Association because you have a loved one in memory care with dementia, consider what that person likes to do. Perhaps she loves fishing and you can get a group together to try to reel in the big ones for a small fee that goes to the Alzheimer's Association. Or maybe he loves ballroom dance and you want to hold a dance-off where contestants show their moves and gain donations by the hour or score. Everyone can come up with a unique idea to celebrate their friend or family member who is in memory care while raising funds in his or her honor. 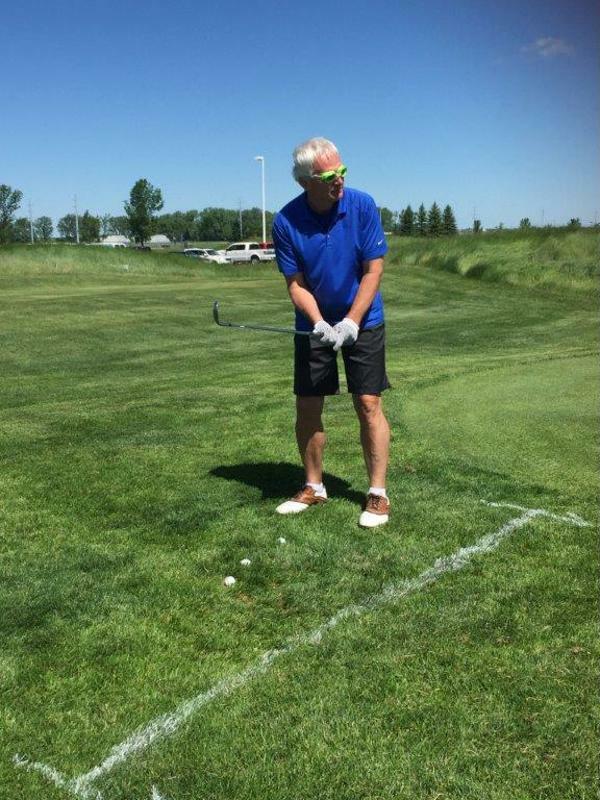 Edgewood Management Group's Longest Day golf fundraiser was a hit! Every cent you donate or raise for The Longest Day goes toward providing support to individuals, families and communities who have been impacted by Alzheimer's disease. This includes online message boards, in-person support groups and a free nationwide helpline. A major portion of the funds is allocated to scientific proposals and global research on diagnosing and treating Alzheimer's. To partake in The Longest Day, register your team on the Alzheimer's Association website. This will give you access to the fundraising feeds where people can donate to your team. Be proactive and get started for next year. With the help of some tips you can reach any goal you set! Start by sending out a personal email to your friends and family. Explain what The Longest Day is and why it's important to you. If you're partaking in honor of someone you love who has dementia, mention his or her story. At the end, share the link to your fundraising page and ask that people give what they can. You may be surprised how many people want to get involved! Then, turn to social media. Create a public page or add it to your personal profile and discuss your Longest Day fundraiser. Update people on your goal progress and even share photos and stories from the members on your team. Putting faces and personal information behind your fundraiser will help people understand how important it is and make them want to get involved. Lastly, don't forget to talk with your loved one's memory care community to see if they want to help. Some Edgewood Senior Living residents and staff already participate and you may be able to join their fundraising efforts.